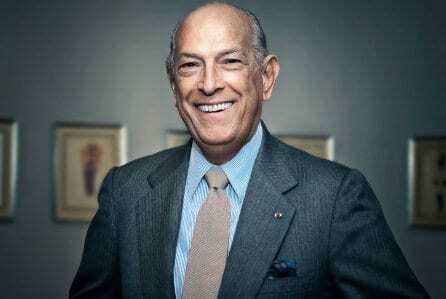 Legendary fashion designer Oscar de la Renta has died, according to a family member. The veteran designer, a native of the Dominican Republic, was 82 years old and had been diagnosed with cancer in 2006. Over a long career, de la Renta designed clothes worn by fashion’s finest and spent a half century putting high society in haute couture. His path to renown was blazed when he designed clothing for Jacqueline Kennedy, and he went on to dress a host of U.S. first ladies, including Laura Bush and Michelle Obama, as well as talk-show guru Oprah Winfrey. He also designed Chelsea Clinton’s wedding dress, and most recently the wedding gown for Amal Clooney, George Clooney’s new bride. This entry was posted on October 21st 2014 at 11:37am/11:37 and is filed under Live News Column 1. You can follow any responses to this entry through the RSS 2.0 feed.